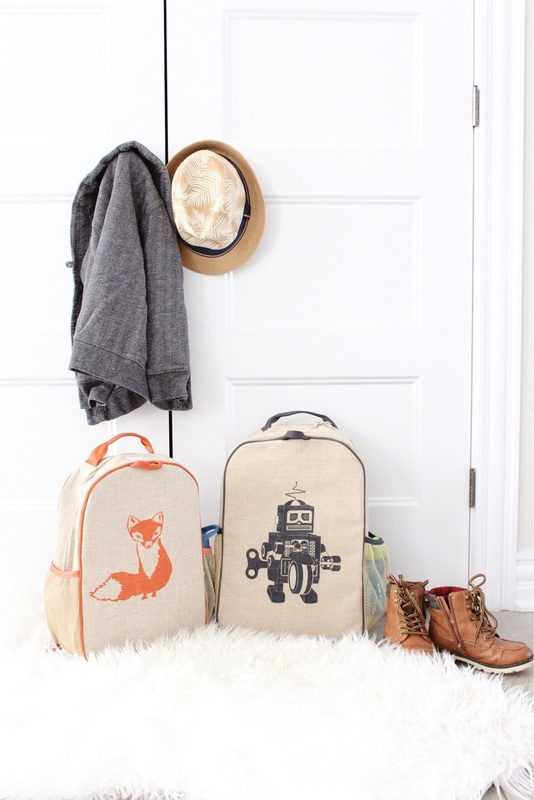 So are you ready to see the cutest book bags ever? 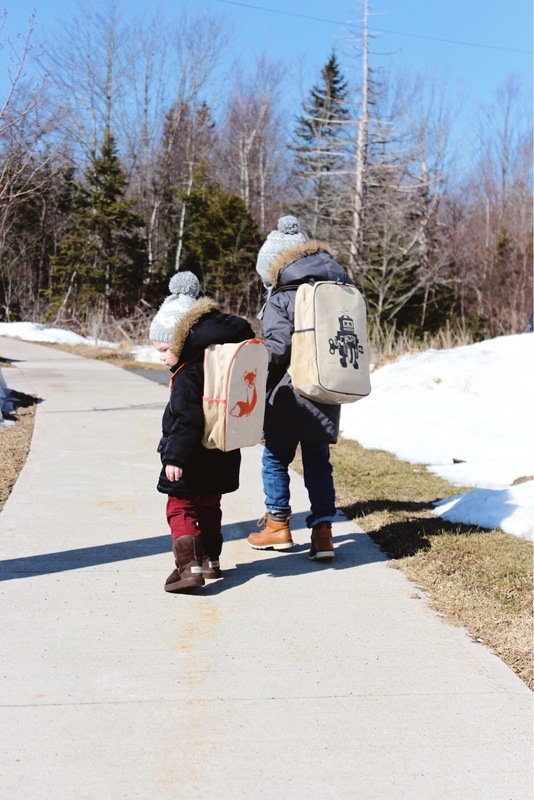 With my eldest boy starting primary in the fall (tear) I had been looking for a fun book bag for him that would hold everything he needed yet not be huge and bulky for him- enter the So Young Raw Linen Bags. Guys these book bags are so cute and functional. I love that they come in the grade school size and a toddler size because you know baby brother wants to be just like big bro and needed one too. 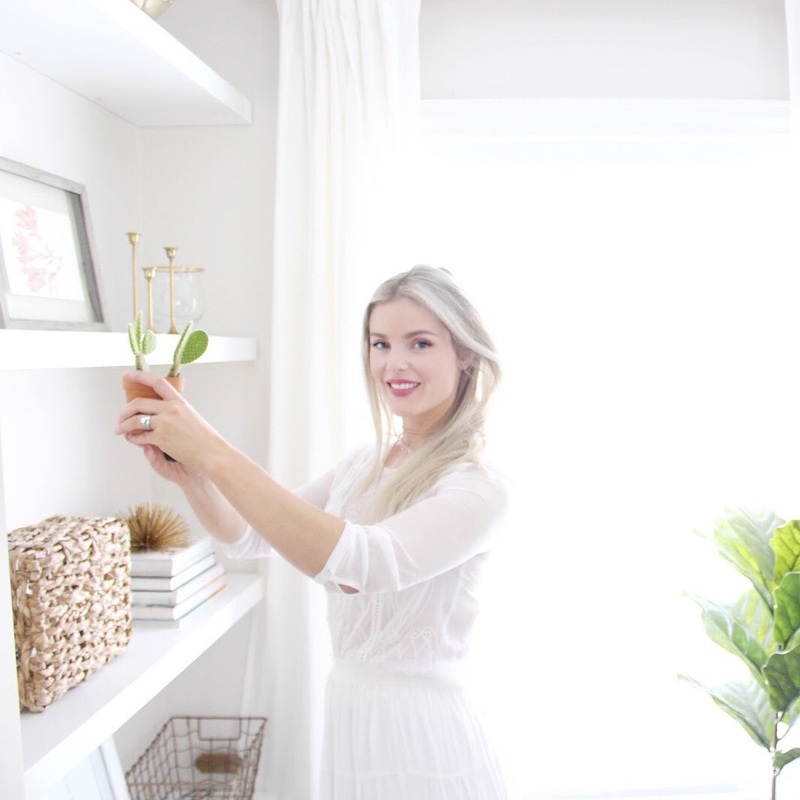 The bags are 100% raw linen and have no harsh chemicals in them which is a huge plus in my books. My two favourite things about these bags are that first you can throw them in the washing machine and leave them out over night to dry and they clean up good as new! Also they have a great clip on the front to actually keep the book bag on your child so it doesn't come flying off. I don't know about you guys but once my kids have all their winter gear on it is just about impossible for them to keep a book bag on unless is has a clip in the front. 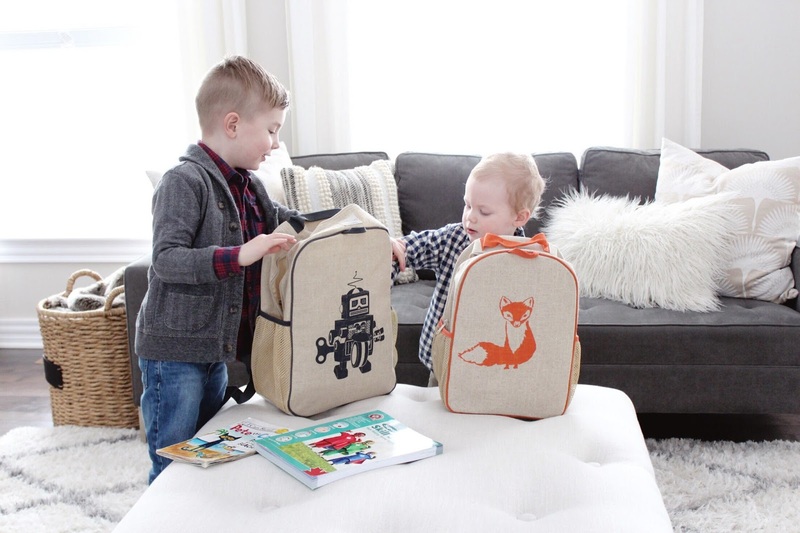 Also they come in the cutest selection of prints that there is definitely something to fit every little ones taste- my boys love the robot and the fox and have been packing up and toting around their bags ever since they got their sweet little hands on them.